Many seniors enter their retirement years knowing very little about Medi-Cal (California’s Medicaid program) because they were covered by employer-sponsored or privately funded health insurance throughout their working years. That lack of knowledge can be problematic – and costly – if you are one of the thousands of seniors who need to qualify for Long Term Care Medi-Cal. In fact, you may find yourself subject to a lengthy waiting period during which Long Term Medi-Cal doesn’t cover the cost for a skilled nursing home. 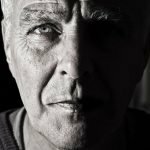 The key to avoiding this waiting period down the road is to learn more about Long Term Care Medi-Cal planning now by talking with Riverside Certified Elder Law Attorney Dennis M. Sandoval. Why Might I Need to Qualify for Medi-Cal as a Senior? When you enter your retirement years (age 65) you stand a 50 percent chance of needing Long Term Care at some point before the end of your life. If you are married, keep in mind that your spouse faces the same odds as you. The longer you both live, the stronger the likelihood that one of you will eventually need LTC. If you are fortunate enough to still be here at age 85, your chances of needing Long Term Care will have increased to 75 percent. Nationwide, the average cost of a room in a skilled nursing facility is about $95,000 per year in 2018. In California, as you might imagine, skilled nursing home costs average considerably more than the national average with an average annual cost of just over $117,000. With the average time spent in a skilled nursing home running about three years, your LTC bill could be well over $300,000. Making matters worse is the fact that Medicare and most other health insurance plans do not cover LTC expenses. Consequently, over half of all seniors currently in a skilled nursing home rely on Medicaid (Medi-Cal in Calfiornia) to pay for the high cost of that care. If you never relied on Medi-Cal for healthcare coverage, you probably know very little about the eligibility guidelines for the program. To qualify for Long Term Care Medi-Cal benefits, you will need to meet the eligibility requirements for seniors, meaning you must meet the asset test. An unmarried senior can “countable resources” of more than $2,000. A married couple faces an asset limit of just $125,600. Medi-Cal does exempt certain assets, such as your primary residence and one vehicle; however, many seniors have accumulated a retirement nest egg full of non-exempt assets that easily exceed the countable resources limit. If your assets exceed the limit, your application will be denied and you will have to “spend-down” your assets before applying again. At this point, you may be thinking that transferring those assets out of your name, into the name of an adult child, for example, would solve your eligibility issues. At one time that was, indeed, an option; however, Medi-Cal instituted a “look-back” period to prevent such transfers completed in anticipation of the need to qualify for Medicaid. California currently has a 40 month look-back period. In all other states, the look-back period is 60 months. California will one day need to fall in line with federal rule and impose a 60 month look-back period like all other states. In the meantime an opportunity exists to plan under the shorter time period. If you apply for Long Term Care Medi-Cal, your finances will be subject to scrutiny for the 30 month period prior to the date of your application. Any asset transfers completed during that time period for less than fair market value could trigger waiting period. The length of the waiting period is calculated by dividing the value of your excess assets by the average private pay rate for your state. By way of illustration, imagine that you own assets that exceed the countable resources limit by $150,000. The average pay rate for 2018 in California is $8,841. 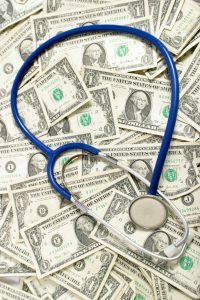 Dividing $150,000 by $8,841 you get 16.97, meaning you would incur a 16 month (rounding down) waiting period before Long Term Care Medi-Cal would start helping you pay your skilled nursing home expenses. In essence, a big portion of your entire retirement nest egg could be depleted if you need long-term care in a skilled nursing facility and failed to plan ahead for that possibility. 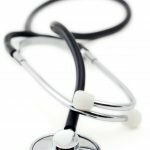 The good news, however, is that by incorporating Long Term Care Medi-Cal planning into your comprehensive estate plan you can avoid such an unwanted outcome. 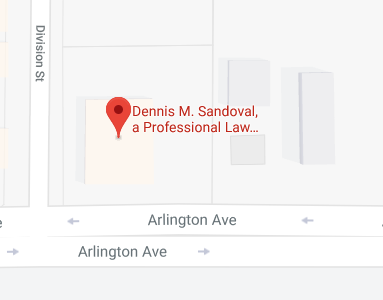 If you have additional questions or concerns regarding Medi-Cal Asset Preservation Planning in California, contact the experienced Riverside Medi-Cal planning lawyers at Dennis M. Sandoval, A Professional Law Corporation by calling (951) 888-1460 to schedule an appointment.